Standing by the oceans edge long legs bent at the ready to take flight, as you rise into the soft blowing wind. The morning light piercing behind you, leaving all at ”awe,” as it sends your silhouette dancing in the shine. You then let out your beautiful Crackle! That only you carry, as it resonates across the bay sending a beautiful tone for all to hear. You then land at your new fishing spot, standing stoic like a fitted soldier. You patiently wait to strike with your deadly beak. Splash with such accuracy as you retrieve your plentiful well earned meal, as the ripples find their way to the other side of the coves edge. You then take flight once again to find your next fishing spot, take flight Great Heron take flight. 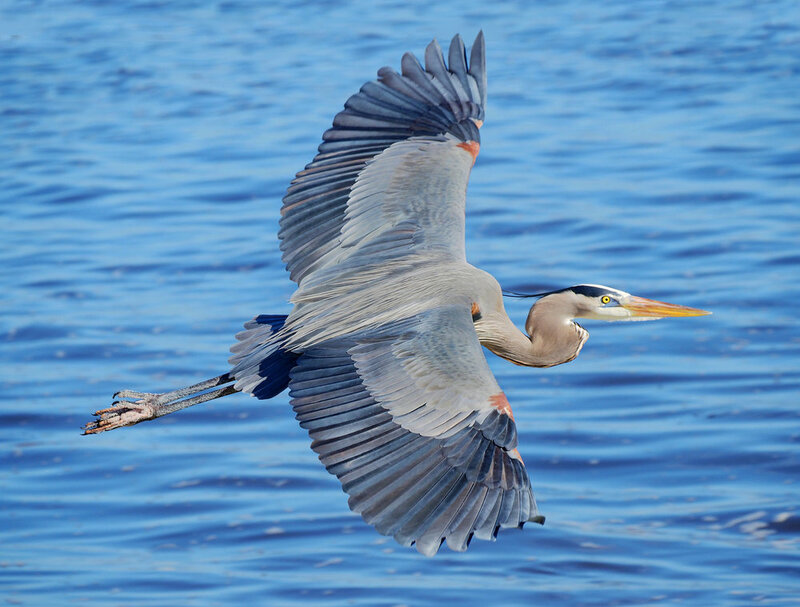 You see the Great Blue Heron teaches us Patience, Balance, and Accuracy. Not to mention stamina. When we pay attention to the Creators Creations, we learn because they are our teachers. Only if we as human beings slow down enough in this world so we may be able to be taught. The Creator has many teachers; we are connected to Mother Earth (Turtle island). As the wind blows and the rivers flow, and the trees touch the sky. We as caretakers have a responsibility, to the place where our ancestors live and the bones do lay. Pray for the healing of others and ourselves, Mother Earth, and Father sky, help make our waters safe to drink, our air safe to breath. Not just where we place our feet, but the whole world needs healing. Let us give thanks and pray to the Creator of all Creations. We ask for so much and we give so little. Let’s share that bright fire from within to others who’s light is not as bright. Listen to the wind.